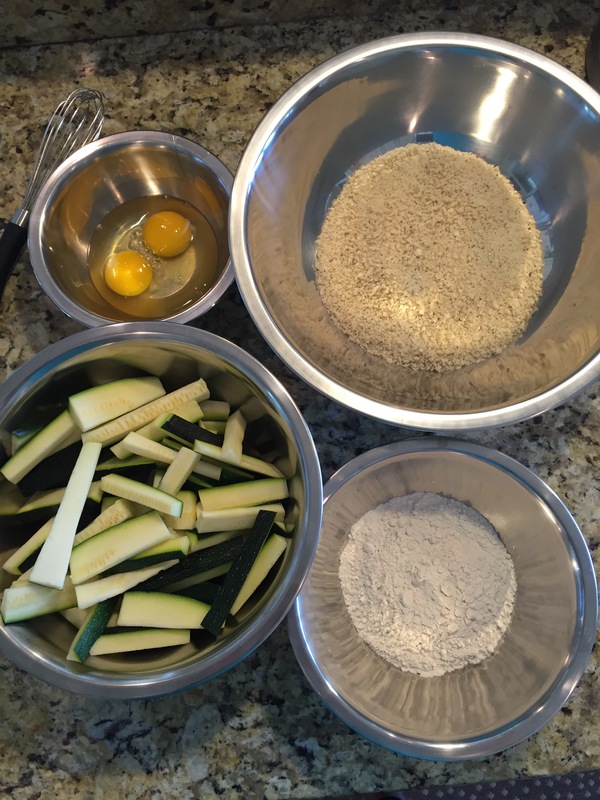 With our abundance of beautiful zucchini from our garden, I decided to give this recipe a try. It exceeded my expectations, and was quick and easy to prepare. 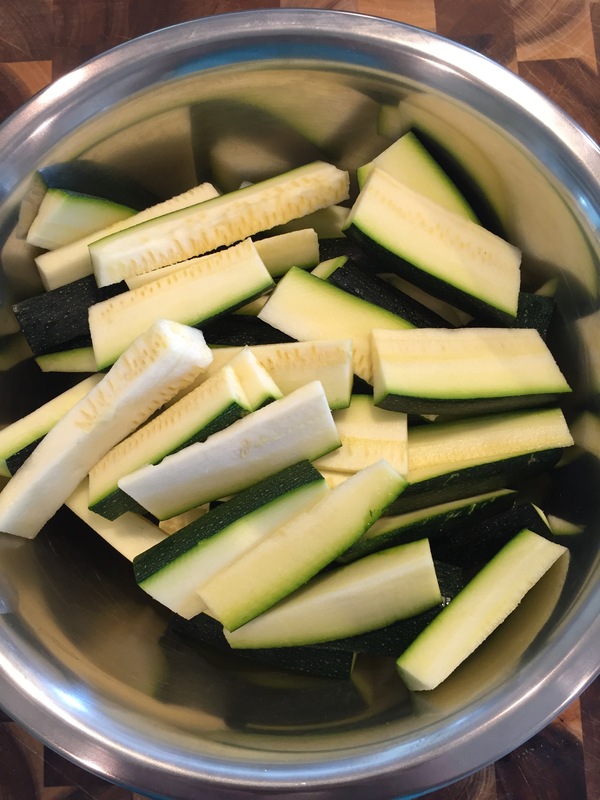 After slicing up 2 huge zucchinis, I combined 1 cup of Panko, 1/2 cup of parmesan, 1 teaspoon of Italian seasoning and salt/pepper. In small batches I dredged my fries through flour, then beaten egg, and then my Panko mixture. Place a cooling rack (or 2) on top of your baking sheet and coat thoroughly with cooking spray. Bake at 350 degrees for 20-25 minutes until the fries begin to turn golden brown. 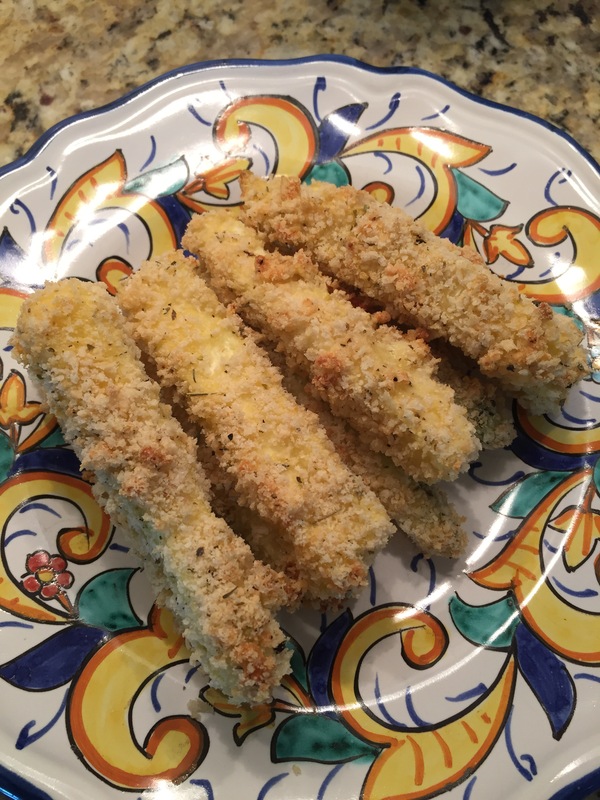 Enjoy this delicious guilt free snack plain or pair it with aioli, marinara, or ranch dressing. nice! I wish I had an abundance of anything in my garden!!! I wish I even had a garden I can’t keep herbs alive!!! 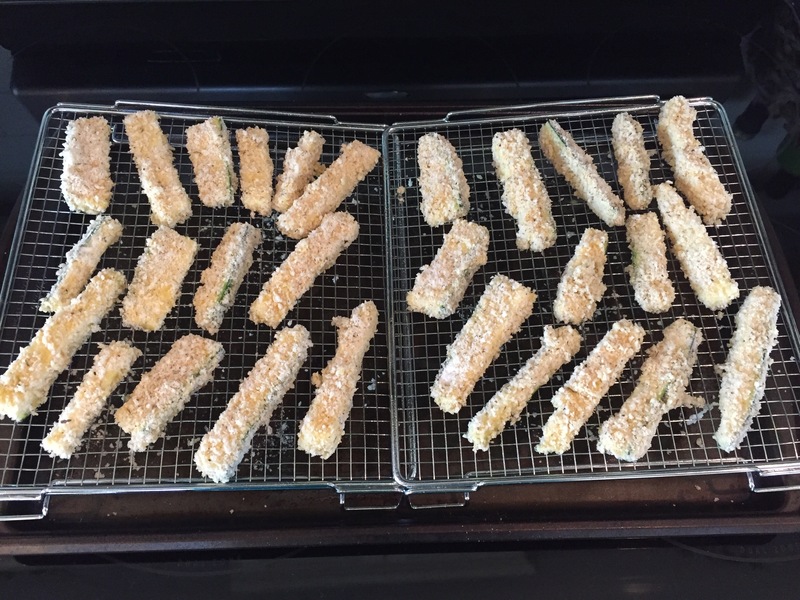 I love zucchini fries with a spicy aioli! Do you make your own aioli? If so, do you have a favorite recipe that you like to share?? Yes I have! We’ll sort of. Aioli is essentially mayo based, so I just use store bought olive oil based mayo and add ingredients from there. I’ve never made mayo from scratch. I’ve made a horseradish aioli and a Sriracha aioli.